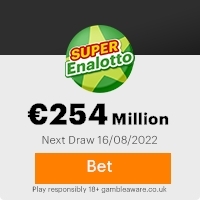 Congratulations to you as we bring to your notice the result of Once Loteria Espa�ol 2007 promotions.We are happy to inform you that your email address have emerged a winner of Five hundred and fifty thousand euro(550,000.00)Euros. PROMOTION DATE: 5th of JuLY 2007.
contact our claims agent above Note: Note he will guide you on how your funds should be sent to you.Please be informed that winners are to pay for their legalization fees which is in line with recent developments pursuant to a review of European Monetary institute (EMI) transfer policies, all money originating from games, lottery, pool bets, etc, are now subject to legalization. Congratulations once again from all our staff and thank you for believing on internet communication and also for being part of our promotion program. Env�a mensajes de correo electr�nico directamente a tu blog con MSN. Carga chistes, fotograf�as y muchas otras cosas. Es gratis. This Email with the Subject "Attention Winner!!!" was received in one of Scamdex's honeypot email accounts on Sat, 07 Jul 2007 04:39:29 -0700 and has been classified as a Generic Scam Email. The sender shows as claira dams <clairadams22@hotmail.com>, although that address was probably spoofed. We recommend that you do not attempt to contact any persons or organizations referenced in this email, as you may expose yourself to scammers and, at the very least, you will be added to their email address lists for spam purposes.